The 2017 Preakness Stakes Triple Crown horse race is set to go off this Saturday, May 20, 2017, at Pimlico Race Course in Baltimore, Maryland with a post time of 6:45 pm and the race is on NBC. Here's a list of ways you can follow to try and get rich betting on the Preakness in 2017. Before we get to the list, betting on horse racing is gambling and nothing is guaranteed in ​gambling. All money you bet on the Preakness can be lost so do not bet more than you can afford to lose. 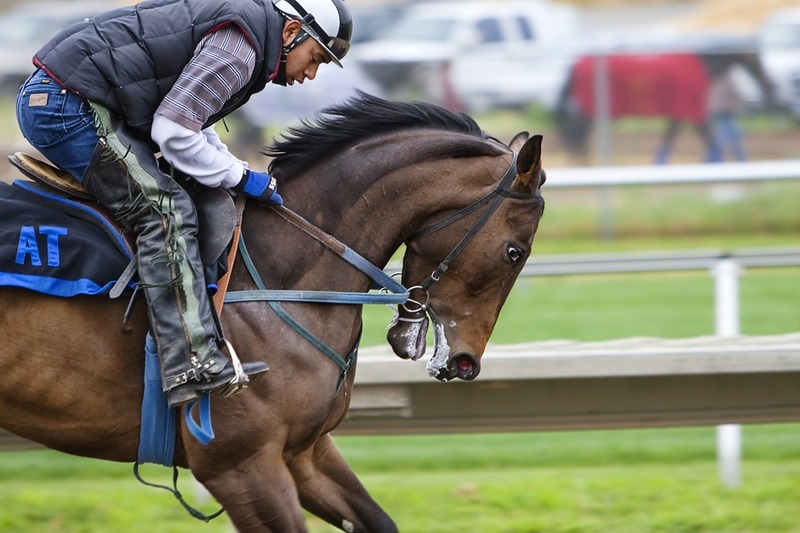 The key to try and get rich betting on the Preakness is to get the biggest bang for your buck by trying to win a lot of many making small wagers. Here are the best ways to do that in 2017. To win a superfecta bet you have to have all the first four finishers in a horse race in exact order. It's not an easy bet to win but it can pay huge amounts of money for a $1 bet and can make you rich in 2017 if you hit the Preakness superfecta. In 1999, the Preakness superfecta paid a record $18,887.60 for each $1 winning ticket. No other bet on the 2017 Preakness can offer such a fantastic return on your money except the Super Hi 5. What's exciting about the superfecta is that the bet has paid over $10,000 for each winning $1 bet five times in the Preakness since 1999. To win a trifecta bet you have to pick the first three finishers in the Preakness Stakes in exact order. An easier bet than the superfecta or the Super Hi 5 but because it's easier to win it pays less. Still, the trifecta can give you an excellent return on your money and make you rich. In 2006, the winning Preakness trifecta bet returned a record $3,912.80 for each winning $2 ticket. The Preakness trifecta has returned over $2,000 seven times. To cash a win bet ticket the horse you pick in the 2017 Kentucky Derby must win the race. The 2017 Preakness Stakes has a very heavy and vulnerable favorite in Always Dreaming who got a perfect trip in the Kentucky Derby but did not run a fast time. ​If Always Dreaming falters another horse in the field could win and pay a big price. In 1975, Master Derby won the Preakness and paid a record $48.80 to win. ​If Always Dreaming falters that record could price be in jeopardy in 2017. Since 2009 when this bet was first offered in the Preakness the Super Hi Five has paid an average of $27,195.40 for each winning $2 ticket. A great payoff but the bet was not offered in 2015 because there were too few horses. That is why I've listed this bet last because it might not be offered this year if too many horses drop out of the race.